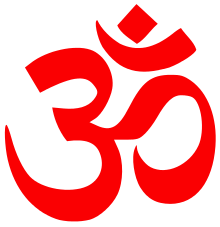 For other uses, see Shudra (disambiguation). Shudra is the fourth varna, whose mythological origins are described in the Purusha Sukta of the Rig veda, one of the many sacred texts of Hinduism, and later explained in the Manusmṛti. This latter text defines society as comprising four groups, sometimes also called chaturvarna, of which the other three are Brahmins (priests), Kshatriya (those with governing functions) and Vaishya (agriculturalists, cattle rearers and traders). According to this ancient text, the Shudra perform functions of serving the other three varna. 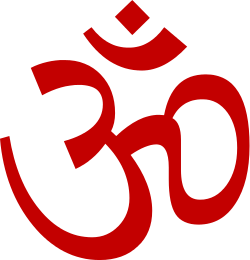 The Rig veda was compiled by about 1000 BCE, and the Purusha Sukta is the only one of the 1,028 hymns in the Rig Veda which mentions the varnas. John Muir in 1868 suggested that the verse that mentions the four varnas has "every character of modernness both in its diction and ideas". This Purusha Sukta varna verse is now generally considered to have been inserted at a later date into the Vedic text, possibly as a charter myth. Stephanie Jamison and Joel Brereton, a professor of Sanskrit and Religious studies, state, "there is no evidence in the Rigveda for an elaborate, much-subdivided and overarching caste system", and "the varna system seems to be embryonic in the Rigveda and, both then and later, a social ideal rather than a social reality". The origin myth in the Vedic text mentions Shudra as one of the four varnas, states Romila Thapar, and "in the varna ordering of society, notions of purity and pollution were central". R. S. Sharma states that "the Rig Vedic society was neither organized on the basis of social division of labour nor on that of differences in wealth... [it] was primarily organised on the basis of kin, tribe and lineage." The word Pusan appears in a Vedic era Upanishad, meaning "nourisher" and associates it with the creation of earth and production activities that nourishes the whole world, and the text calls this Pusan as Shudra. The same word Pusan is, however, associated in a Brahmana text to Vaishya. According to Sharma, nowhere in the Vedic text collections, "is there any evidence of restrictions regarding food and marriage either between the Dasa and Aryan, or between the Shudra and the higher varnas". Further, adds Sharma, in late Atharva Veda, "Shudra does not come in for notice, probably because his varna did not exist at that stage". In modern Indian society, the government is taking steps to end caste distinctions. Sri Aurobindo finds varna system actually depicts an aspect of Physical cosmology, where he terms Shudra is one of the power, tendencies, nature of toil, labour & service being present in all human beings in different proportions, He finds that with time this concept was too much externalised and mechanised which became a hard system quite different from what it was intended. Dr. Ambedkar, a polymath and a Dalit activist, believed that there were initially only three varnas: the Brahmin, Kshatriya and Vaishya, and that the Shudras were the Kshatriyas who were denied the Upanayana, an initiation ritual, by the Brahmins. This claim has been contested by historians such as Sharma. The tenets of Vedic Hinduism in north India held less sway in the south, where the societal divisions were simply Brahmin and Shudra. However, some non-Brahmins adopted the classification of Sat Shudra (clean Shudra) in an attempt to distinguish themselves from other non-Brahmin communities. ↑ Davis, Marvin (1983). Rank and Rivalry: The Politics of Inequality in Rural West Bengal. Cambridge University Press. p. 51. ISBN 9780521288804. 1 2 Thapar, Romila (2004). Early India: From the Origins to AD 1300. University of California Press. p. 63. ISBN 9780520242258. ↑ Sharma, Ram Sharan (1983). Material culture and social formations in ancient India. Macmillan. p. 51. ↑ Flood, Gavin D. (1996). An Introduction to Hinduism. Cambridge University Press. pp. 36–37. ↑ Muir, John (1868). Original Sanskrit Texts on the Origin and History of the People of India: Their Religion and Institutions, Volume 1 (2nd ed.). London: Trubner and Co. p. 12. 1 2 Jamison, Stephanie; et al. (2014). The Rigveda : the earliest religious poetry of India. Oxford University Press. pp. 57–58. ISBN 978-0-19-937018-4. ↑ Sharma, Ram Sharan (1990). Śūdras in Ancient India: A Social History of the Lower Order Down to Circa A.D. 600. New Delhi: Motilal Banarsidass Publishers. p. 10. ↑ Patrick Olivelle (1998). The Early Upanishads: Annotated Text and Translation. Oxford University Press. p. 49. ISBN 978-0-19-535242-9. 1 2 Ram Sharan Sharma (1990). Śūdras in Ancient India: A Social History of the Lower Order Down to Circa A.D. 600, Third Revised Edition. Motilal Banarsidass. pp. 49–50. ISBN 978-81-208-0706-8. ↑ Ram Sharan Sharma (1990). Śūdras in Ancient India: A Social History of the Lower Order Down to Circa A.D. 600, Third Revised Edition. Motilal Banarsidass. pp. 44–45. ISBN 978-81-208-0706-8. ↑ Ambedkar, B.R. (1970). Who were the Shudras (PDF). Bombay: Thackers. p. xiv. ↑ Sharma, Ram Sharan (1990). Śūdras in Ancient India: A Social History of the Lower Order Down to Circa A.D. 600. New Delhi: Motilal Banarsidass Publishers. p. 5. ↑ Vaitheespara, Ravi (2011). "Forging a Tamil Caste: Maraimalai Adigal (1876-1950) and the discourse of caste in colonial Tamilnadu". In Bergunder, Michael; Frese, Heiko. Ritual, Caste, and Religion in Colonial South India. Primus Books. p. 96. ISBN 978-9-38060-721-4. Chandra, R.; Chanchreek, K. L. (2004). Shudras in Ancient India. New Delhi: Shree Pub. ISBN 81-88658-65-0.